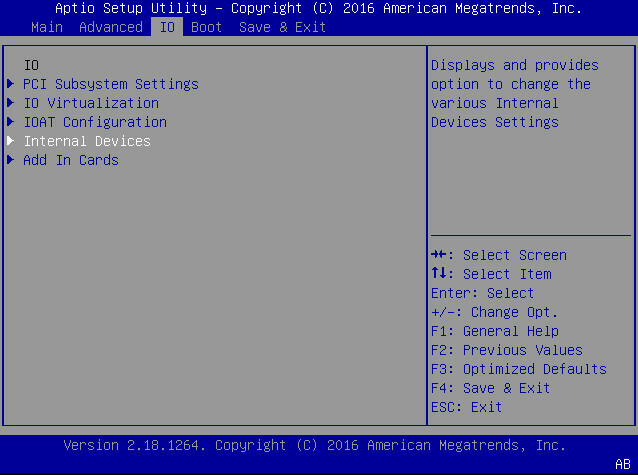 On the IO Menu screen, select either Internal Devices or Add In Cards and press Enter to display the internal device or add-in card slot for which you want to enable or disable the PCI-E UEFI Driver. On the Internal Devices screen, select the internal device or add In card slot that you want to configure. 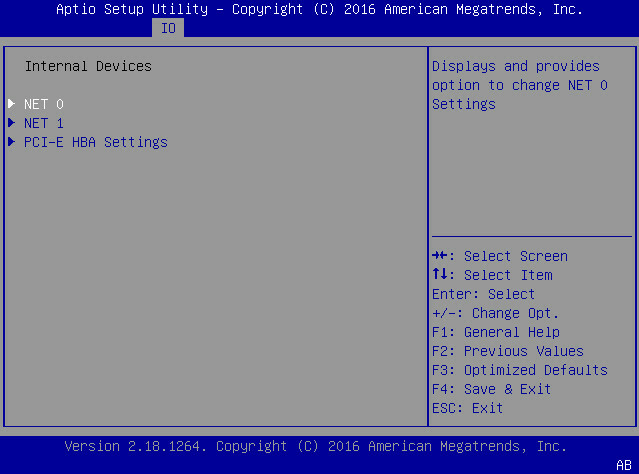 Select Enabled to enable the PCI-E UEFI Driver setting. 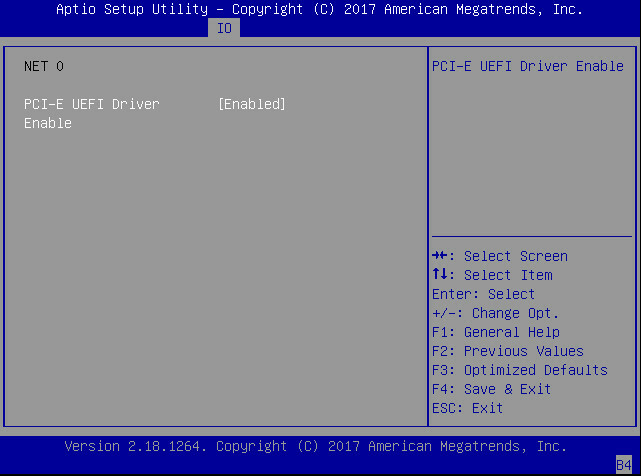 Select Disabled to disable the PCI-E UEFI Driver setting.